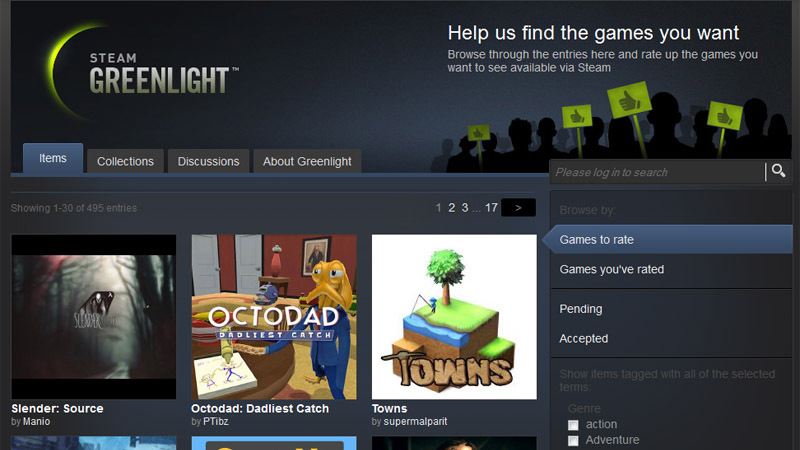 Steam has approved ten independent gaming projects on its new Greenlight platform, less than two weeks after the launch of the service. The service enables Steam users to look through the digital distribution service and vote on which games come to Steam first, or whether they deserve to be on Steam at all – giving the community a voice on what they want to play; and the first couple games are now on show. They include the first-person atmospheric exploration game Dream and pixelated adventure-parody McPixel. Horror games Cry of Fear, Project Zomboid, No More Room in Hell, and Routine are also up for voting. Without undermining the other entries, the most significant entry is probably that of the Half-Life 1 rebuild project, Black Mesa. Steam Greenlight hasn’t been all positive though, as some fake projects have already surfaced through the service, causing Valve to slap a $100 fee to submissions.